As the parent of an autistic child, there are many things that I have studied, read about, and looked into. One of those things was raising an autistic girl. 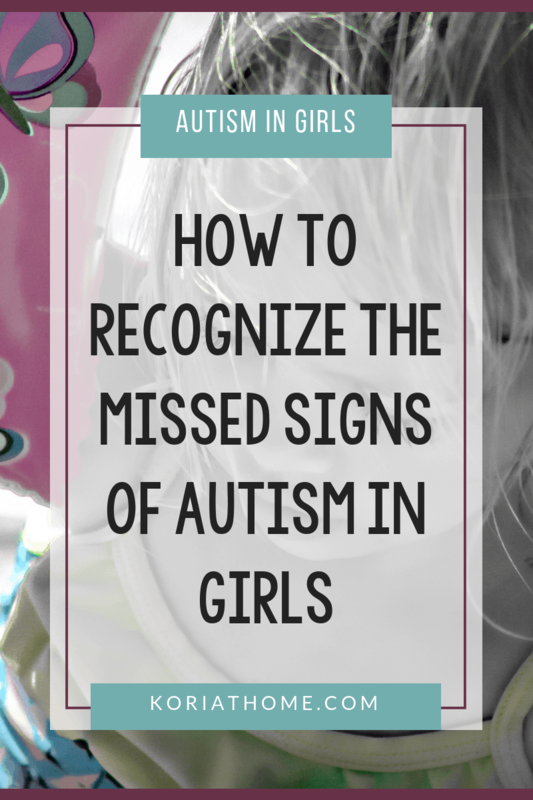 And moreover, it was about learning to recognize the signs of autism in girls. 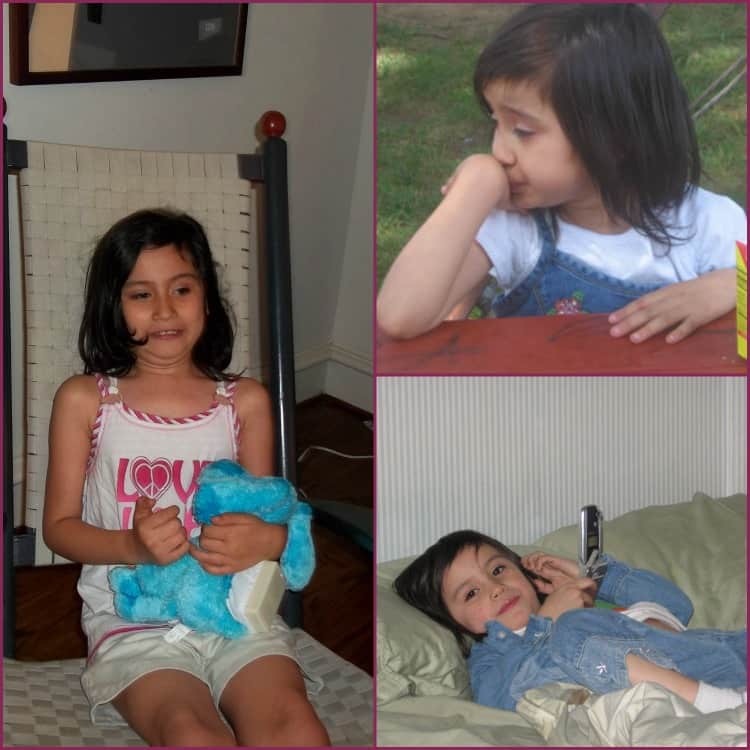 My first encounter with an autistic girl was not with my own daughter. It was with my neighbor’s daughter, who at the time lived next door to us. They had just recently moved in and were attending our yard sale. Outwardly, she looked no different from her siblings or other children that were attending with their parents. In fact, I was never really aware that there was something different about her until years later when I had my own autistic daughter. And that is usually one of the problems that an autistic girl may face. Her diagnosis might be missed completely or misdiagnosed for years. 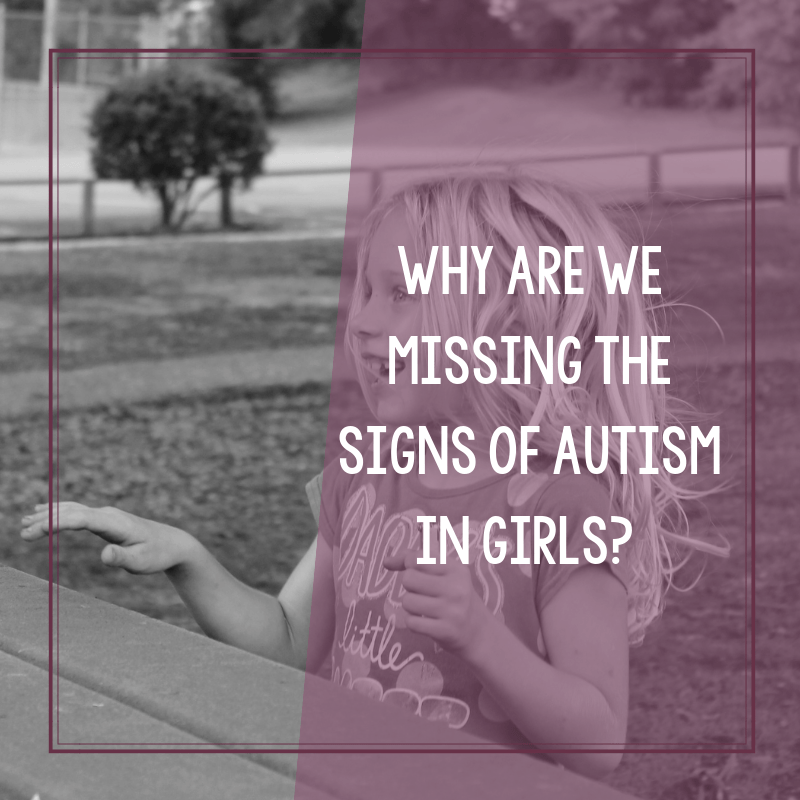 Because for all intents and purposes, they look “normal” and according to most research studies, when girls are diagnosed as autistic, they tend to fall on the higher functioning end of the spectrum. And in a study conducted by IAN (Interactive Autism Network), girls are more likely to receive their diagnosis later in life. 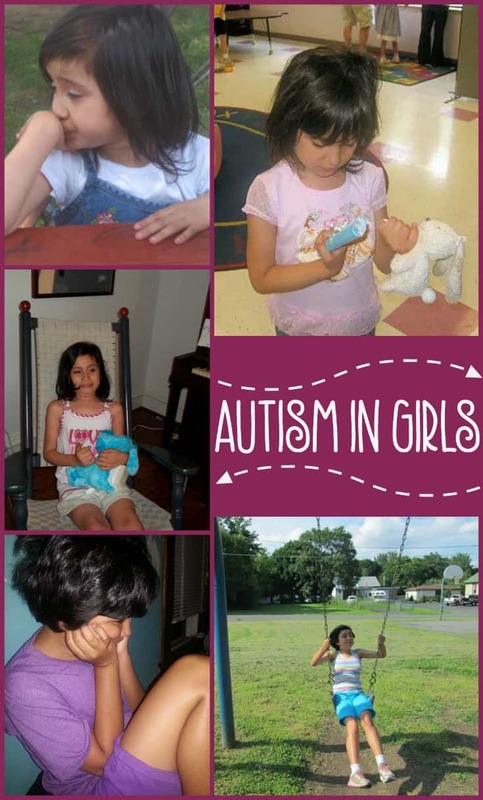 So are autistic girls really that much different than autistic boys? Yes. And no. I say no because autism, as we’re all aware, is a spectrum disorder. And even my autistic daughter won’t be the same as my neighbor’s autistic daughter. Sure, there might be some similarities but they aren’t the exact same. For one, they’re human and as humans aren’t we all different? Low functioning and high functioning, I feel, are also misleading terms. I personally don’t like them. And I say yes because it does manifest differently. One study had suggested that when autism appears in low-functioning girls, it’s more severe than in boys. In fact, with girls who are high-functioning autistic, it may take years for a correct diagnosis. But why is that? 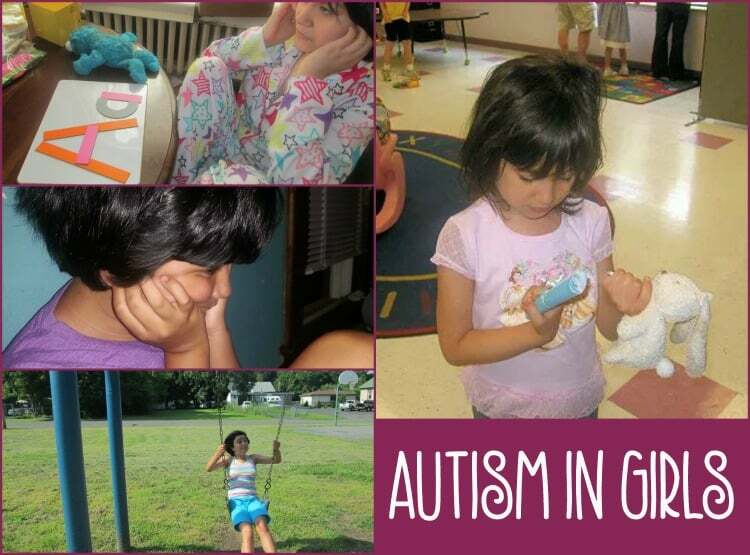 Why are doctors missing autism in girls? 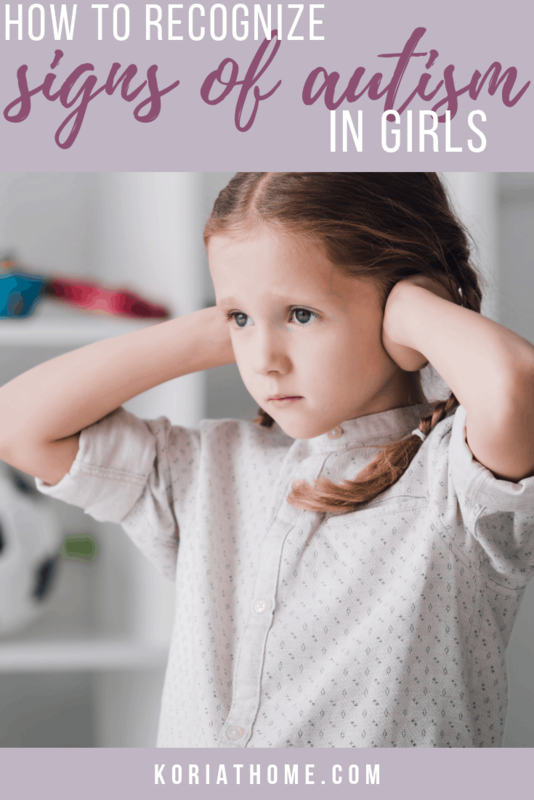 And in particular, why are high-functioning autistic girls still slipping under the radar? It’s not that they are lacking the “typical signs of autism” but that it may be less noticeable. Autism, according to the CDC, is holding steady at a rate of 1 in every 68 children in the United States. It is still more common in boys than it is in girls- but that could also be due to the fact that many girls are being misdiagnosed. And with the new diagnostic criteria, they may not meet the diagnosis all together. Want to talk about the diagnosis? Schedule a virtual coffee chat! With my daughter she’s one of the, “classic autism” girls. Her prematurity *just* qualifies her for Early Intervention services through Albany County. Sweet B begins receiving physical therapy, occupational therapy, and speech therapy in home around the age of one year. By this point in her life, she is behind on her developmental milestones but I’m not too concerned because she was premature. By the time she turns 18 months, she’s starting to regress in her speech and social skills. These are the first red flags. Approximately four months later, and two months before her second birthday; Sweet B receives an official autism diagnosis. We were fortunate that it was noticed early. And even after receiving the diagnosis, she underwent genetic testing and had other testing done to rule out things like Rett Syndrome. Still, I was at a bit of a loss as most of the research (back in 2003) was still centered around boys. But, I took that in stride and consumed as much information as I possibly could. I talked to my neighbors, who were now living across the street, about their daughter. I’m also thankful, incredibly so, that times have changed and that there are now more books specifically for autism in girls. And of course, Dr. Temple Grandin has been one of my biggest sources of encouragement and education. While there’s not a goldmine of information available, in comparison to how it used to be- I’m grateful for new information. And as a parent, educating myself about this disorder is one of the best things that I can do for my daughter. While I may never be able to fully understand what she’s going through; I can at least hope to prepare myself to help. As parents, whether we have an autistic daughter, an autistic son, or a child with something else or nothing at all; we do what we can to help. Hi there! This is a wonderful post, very informative and full of great information. I am including this post in my “Weekly Roundup” ! Thank you for this! Thank you so much, Vicky! I will be sure to check out your blog 🙂 It’s always nice to connect with fellow bloggers. Thanks for sharing your knowledge and comparison on #ShareWithMe this week. I never thought to look at it differently from a boy or girl perspective. With girls having strong or outward hormones as we age I wonder if this affects autism more. Hope to see you and your blog again soon on SWM. I am an autistic girl myself. We really need to be recognized! The chameleon function is often stronger in sanguine and melancholic females, so temperament is another thing to take into account. I was not aware of the Chameleon Function but that is definitely something I’m going to look into further.